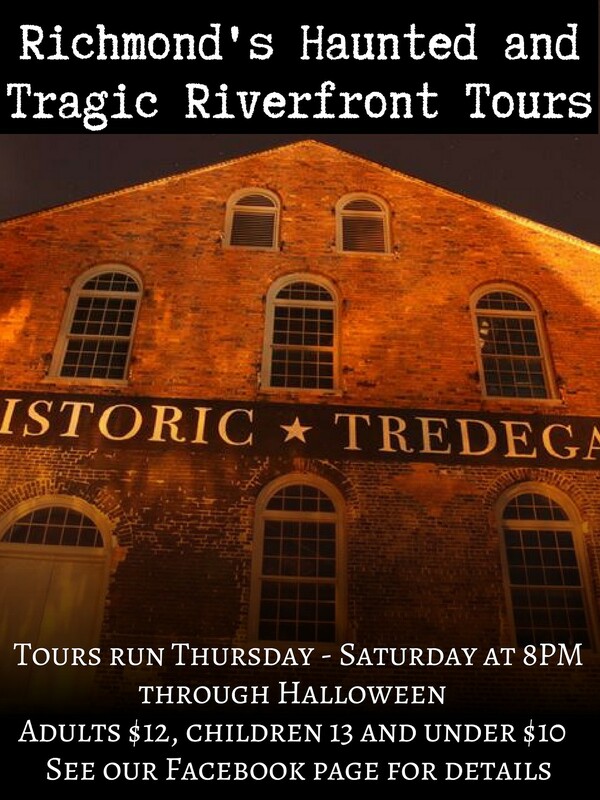 Richmond's Haunted and Tragic Riverfront Tours | Brown's Island | Happenings | Style Weekly - Richmond, VA local news, arts, and events. 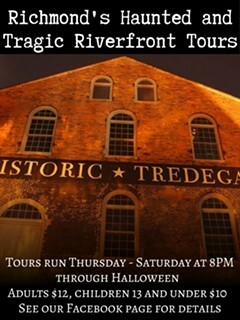 Including Civil War tragedies, local legends, ghost stories and haunts, join a one-hour walking tour of Richmond's riverfront area to hear stories of the city's disturbing past. Seventh and Tredegar streets, Richmond Downtown Va.